Robert TTV: a winning MLB and NFL formula. What is the secret? We could finally reach Robert for the featuring interview. 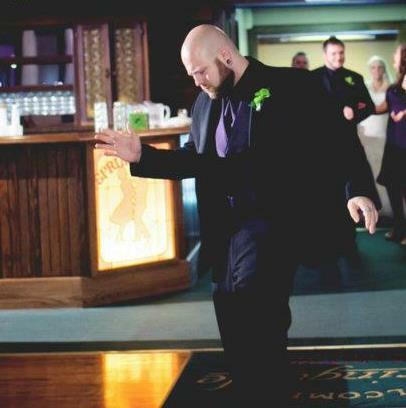 This man in a style rarely posts and does not say much, but when he does, he usually wins. Lets try to find out his secret! yourself, where are you from? I am originally from Cleveland, OH. I moved to Phoenix, AZ in 2000 to attend college and found myself back in my hometown of Cleveland in late 2007. NFL is by far my favorite sport to follow along with NHL and MLB. season and uses more parlays, round robins ? My TTV system was idea I came up with will tracking the wins and losses of team statuses (i.e. Burning Hot, Average etc.) for NHL while Zcode was being tested publicly on Facebook with great success. The idea of tracking a status of a team, rather than particular teams themselves was a very appealing idea to me. So I sat down and after months of work devised a mathematical algorithm that takes into account a multitude of offensive and defensive statistics. By doing this I was able to assign teams to a Total Team Value (TTV). Using Total Team Values, I then started tracking the wins and losses of the Total Value Differential (TVD) between teams. This idea work perfectly for NFL, mainly because teams only play on a weekly basis. So based on the previous weeks performance, Total Teams Values change and your able to get a good idea for how a team is doing overall. Unfortunately, this system did work quite as well for MLB since teams play everyday. So making my first TTV appearance with MLB, I found that while keeping the same idea, rather than just tracking individual games, I am tracking wins and losses for overall series based on the same TTV’s. So looking at a series of games rather then individual games, I am able to get a better read on whether not a particular team has the upper hand and bet teams to not get swept. What is the current record of units won of TTV system? Well this past NFL season was my first time posting publicly with TTV. And what a season it was, especially with replacement refs and a lot of controversy to start the season. 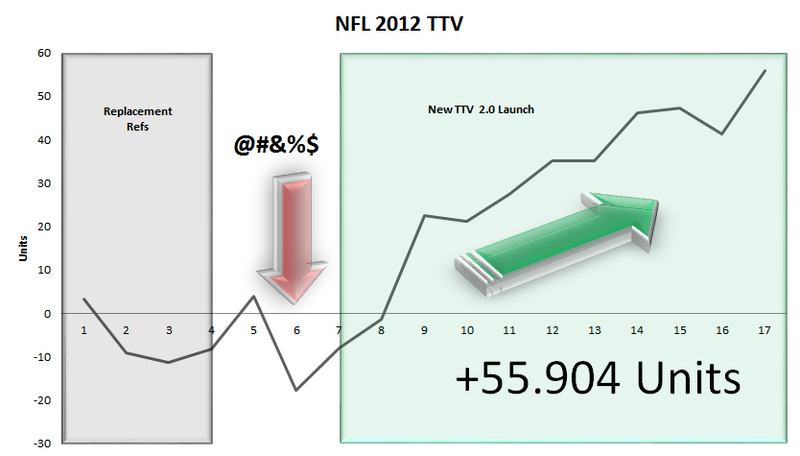 NFL TTV started off losing in each of the 4 first weeks until getting back into profit week 5. Then week 6 game around and my system was absolutely crushed losing nearly 22 units and putting TTV down 17 units on the season. That’s when I decided to work on TTV 2.0 which utilized round robins and parlays on only the very strongest signals (and cross referencing my picks with Trey’s Aragorn System). Making this change, TTV earned 77.6 Units the final 10 weeks of NFL to finish the season up over 54 Units. Zcode tools do you use! With MLB this year, the first thing I do is update my TTV values on a weekly basis. Once this is done, I analyze the value differentials for each series and cross reference with the current win/loss record of each group of differentials. From there I narrow down to a core group of series to play and follow the parameters I set on the members forum. 2. Pitching Matchups. Avoid betting against Top 20 pitchers. 3. Hot/Cold Status. Don’t bet on Teams with 3 game losing streak or worse, and don’t bet against teams on 3 game winning streak or better. 5. I only bet 3 and 4 game series. No 2 game series will be listed unless there is a strong signal, which I will address when I post. 6. On 4 game series, if A bet is won, we can start another ABC progression for games 2-3. Again, I will address this when I post. Your words of wisdom to the people who are just starting the sports investing? Money management and patience are key. Set your bankroll and your unit value, and do not deviate from these. Your not going to win every day, or even every week, so don’t get frustrated when things don’t go your way. If you have to, reevaluate your selections and make fewer selections if need be. I had a tough terrible week 6 in NFL last season, which led me to sit down and reevaluate how I make my selections. And from that, I created a massive turnaround and crushed the bookies the last 10 weeks. You have more than enough tools with wall posts, forums, systems and experts to follow. Don’t ever hesitate to ask questions or voice your opinion. We are a community and a collective “think tank”. We can only grow stronger. Cheers!